"Its like getting an awful T-shirt as a present, and its too small, so now you have to go and return it, but first you need to know where the jerk bought it..."This is for you! The Late Night/ Early Bird/ Future Warriors! Hello fellow TAYers, and welcome to the Graveyard Shift! Where we server the same doctrine as the morning TAY: Open Forum. Only at night, where we get a second chance to finish the mission, but on a another better game....because this one was disappointing as hell. Now the off-topic of the nigh is disappointment, that is if you have actually read this far before actually posting. If not, "Son I am disappointed". But more to the point. Games that went on your radar since their announcement, and made you giddy and excited about it. Only to come to the horrible realization while playing, that it could have been way better, and ended up missing opportunities; a total disappointment. One such game is Call Of Duty: Blacl Ops I (Nov, 2012). Now, as ludicrous as it may sound. I did not purchase this game for the online or the zombie JFK, Castro, Nixon, Whathisface experience. I bought it expecting the single player story to actually be the better part of the game. Please kill me now...Mr. Dragovich...seriously? Why would the story be the better part of the game you ask? Well for one being outside the Second World War (Always a good setting), and the imaginary future war. In short, this game was set during the Cold War era. Where at any point by either bad luck or utter incompetence it could have just come down to nuclear war that would have wipe out humanity's petty existence off the face of a radioactive husk that would be earth. 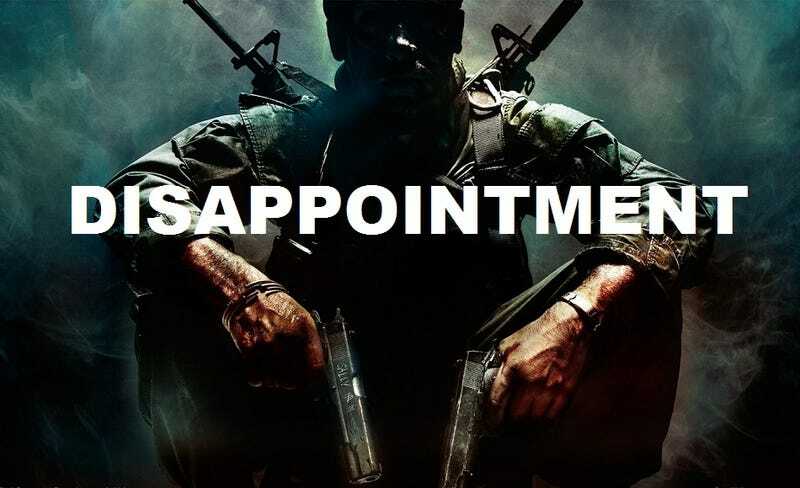 But to be truthful on why it disappointed me, has more to do with the side of me that's interested in history, and not expecting Treyarch to take the safe route, and utterly avoid it. Consider that they did CoD: Big Red One, a game with a solid story line. So hey! Have a game that you though was going to be good (was hyped up for it), and ended up lacking? Or would you just rather ignore all that text above and write about your day? Either way, ITS NOW OR NEVER! TuT has a new TuTorial for those who want to post! TAYPhotoshop contest for the Open Forum. The Graveyard shift is not responsible for your late night procrastination, job loss, and being forever alone. Don't forget TAY for the TAY:Open Forum. Or TAYClassic for the old type of writting.